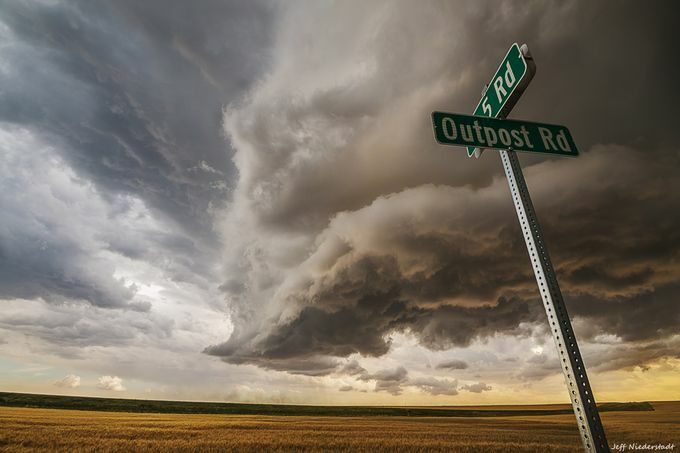 ViewBug community member jeffniederstadt is an avid storm chaser based out of Pueblo, Colorado. 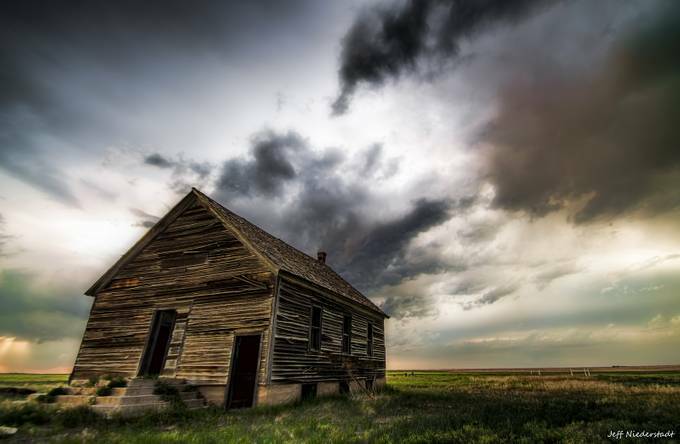 His love for storms came early in his childhood and his passion for photography came later in life. 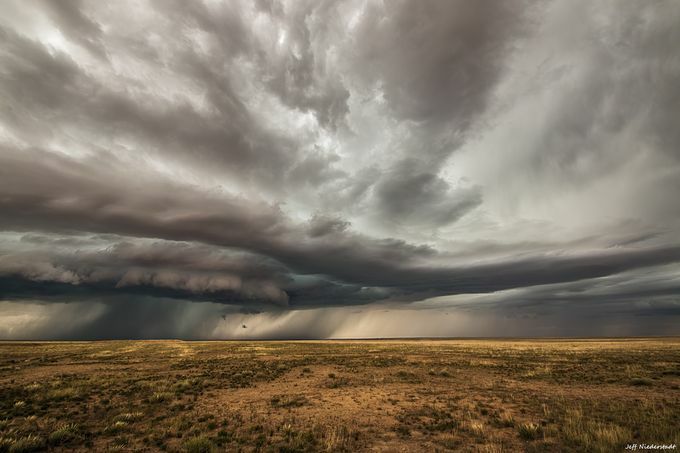 He started off photographing storms but have since broadened his work to landscape and nature. 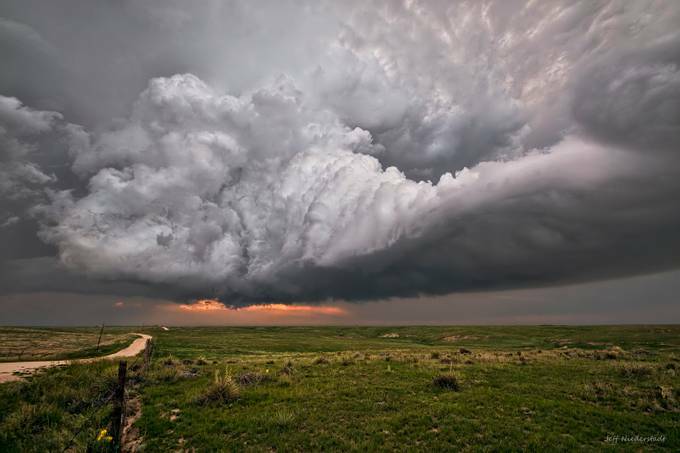 "I am not a highly experienced photographer or the most experienced storm chaser but with each photo and each chase I learn something new." I recommend shooting in manual mode. Do some research on how to use manual mode. There are many tutorials all over the internet on this subject. Manual mode gives you full control over your aperture, shutter speed and ISO. When you are chasing storms the lighting is always changing so it is good to know how to quickly make adjustment on your camera. I highly recommend shooting RAW. When shooting in RAW no information is compressed giving you a better quality image and giving you the ability to correct issues that would not recoverable if shot in JPEG format. Try shooting with different settings. I always properly expose my storm shots but then I change the settings and and at times I will underexpose some. I have had many shots that end up looking better a stop or two underexposed. It won’t hurt to experiment and have too many shots. Play around with the settings until you find what works for you. You will more than likely be spending a lot of time inside the car. You will be either traveling or waiting for storms to fire up, depending on how far you are willing to travel to photograph a storm. You will want to get to your target area early and once there you will be playing the waiting game and that could mean hours. It is better to be there early and waiting than trying to catch up to the storm. Sometimes trying to catch up can be a real pain and many times you just can't catch up no matter how hard you try. While waiting you can always look for things in the area that you can photograph. There are some hidden gems out in the rural areas like an old car, barn or windmill. 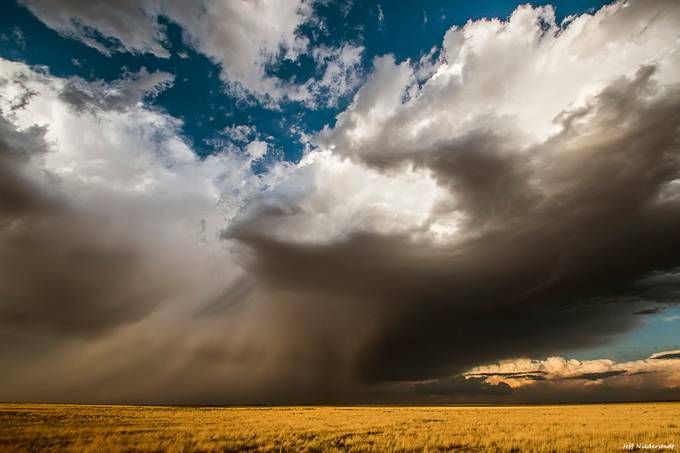 Chasing storms can be a dangerous game. Always have an escape route that you can take to get to safety. 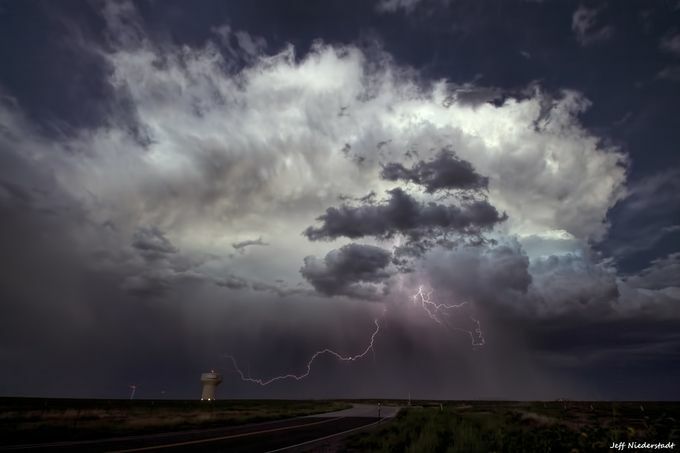 Many dangers include tornadoes, hail, lightning, flash flooding and very strong winds. Besides all of that, you have to watch out for other chasers and the locals. Some people are trying to get closer to the storm and others are trying to get to their safe place. Just follow the laws of the road and be respectful and everything should be fine. 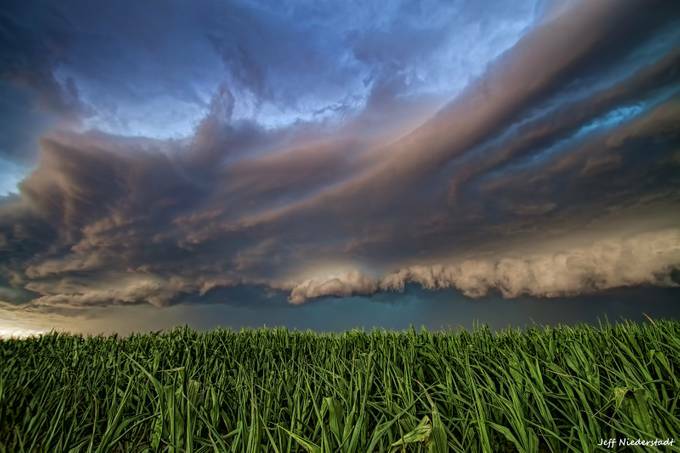 Be aware of what is around you when photographing the storm. Try different angles and try different locations. Try to frame your shots of the storm. Finding something for the foreground can really add depth and put into perspective the size of the storm. Although there will be many times where there is nothing but an open field, this is a good time to think outside of the box and try to be creative with your shots. Even though you main subject is the storm in front of you, you might see an amazing sky by looking behind you. Be ready to grab your camera at a moment's notice because you might not have much time to get your shot. I usually have my camera ready by hanging it on the back of my headrest in the car with my tripod half way extended laying on the back seat. I will have the camera settings in a general area that I have come up with while nearing the storm that way I can grab my camera and not have to make major adjustments before taking the shot. Always try to use a tripod. The majority of the time I will jump out of the car and take a few shots handheld and then go back for my tripod. There have been times where I didn't have time to go back for the tripod. Sometimes you will only have a few seconds to take a shot or two before it starts to rain or hail leaving you with no time to get the tripod and there might be times where the rain or hail prevents you from even getting out of the car for a shot altogether. That is when you just sit and enjoy the view wishing you were able to capture it with your camera. This is where I definitely learn on every chase. It doesn't always work out the way you want it to. You might miss “THE” shot from time to time. You might even miss the storm altogether. It does happen. You might have many shots that didn't come out the way you would have liked. Look at those and figure out what you could have done to make them better. Are the clouds not as sharp as you would have liked? Was your shutter speed to slow? Is your image noisy because you had your ISO too high? Those are all things that can be improved on. There have been instances where I had in my mind what I wanted to capture, and, I knew what kind of settings that I wanted to use. 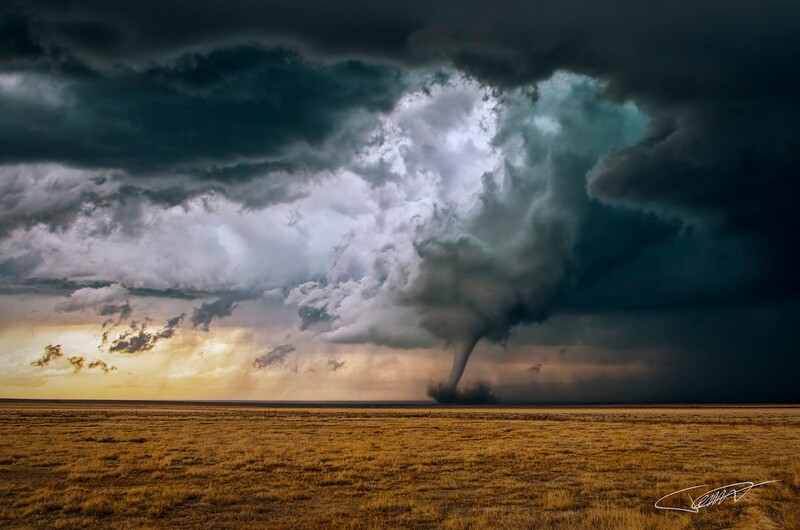 That changes when you are standing there staring at a tornado. The adrenaline and excitement kicks in and I lose all of my thought process on what to do with my camera, and I just start shooting. The next time I went out, I did not let that happen. Learn from your mistakes and the next time will be that much better. We photographers always have room to improve. You don't need the top of the line gear to capture nice images. Many cell phones can take some great pictures these days. I have taken many very nice pictures with an entry level DSLR. I enjoy using a wide angle lens for shooting storms. It allows me to capture more of the entire storm. The wide angle is my go to lens. I also like to use a mid range telephoto lens to be able to get a tight shot of a tornado or something I find interesting within the storm. Tip 7: What Do I Use? I started off with a Canon EOS T3 that my wife and I shared with the kit lenses. An 18-55mm and a 55-250mm lens. The next year we bought another T3 and shared the 55-250mm lens. We then added to our gear and each bought a Tamron 10-24mm. Later we upgraded our cameras to the Canon EOS 70D and each added a Tamron 150-600mm. Now as I write this we are hoping to soon upgrade to a full frame camera. We each have our own camera and lenses with our own ideas and styles. We learned everything together and help each other improve. I hope that the tips I have given have helped in some way. Some of them might not apply to everyone but these are things that I have learned over the few years that I have been doing photography. If you decide to chase a storm and photograph it please be safe and have a lot of fun.